Thank you to everyone who shared their favorite Para Bellum memories with us last Friday. The love you have shown for Operation Para Bellum was outstanding, and you have made it something truly special. 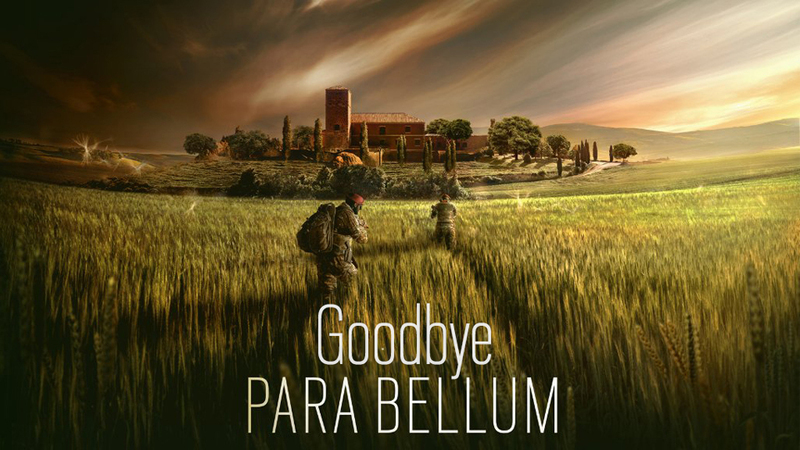 We may have said goodbye to Para Bellum, but it will be remembered through all the stories, fanart, videos, cosplays, and plays you all have created and shared – so we’ve picked a few of our favorites to share. My favourite moment would be playing Para Bellum with my daughter and friends, she’s only 10 and managed to be top of the team most games and won us rounds. #prouddad moments. As simple as this may sound, because of this game I made a lot of really good friends. And for that I’d like to thank you guys. Nothing too special. it’s all about improving, having fun and making friends. Siege brought great people into my life, again. so thank you. Meeting some online friends that I play ranked with now! Also the times I clutch a round in those matches. Thank you for giving Recruit a friend. Evil eye the best this season. Thank you for the new troll queen in town! Para Bellum gave us Maestro, and learning how to play him was an absolute blast! I also tried to support NA with some of my cosplay pictures! One of the reasons why I loved Para Bellum is that it gave us two wonderful characters, Maestro and Alibi. @Detaleader and I had tons of fun representing them at Six Major Paris and Gamescom. Thank you, Team Rainbow. Thank you for creating Maestro, it allowed me to look like this 30 minutes after his reveal…Para Bellum was good, now time for Grim Sky to shake it up. Cosplaying as Jäger during Operation Parabellum. Definitely j00nas with the triple Cav kill and interrogation in the Paris Major against EG. Unreal play and the crowd went wild. It was at this moment I knew Para Bellum was going to be a fun season! Pulling off the Alibi trick where you stand on one of your projectors. Para Bellum may be over, but it is time for a new start in Grim Sky – we hope to make just as many, if not more, amazing memories with you all this season. GLHF!